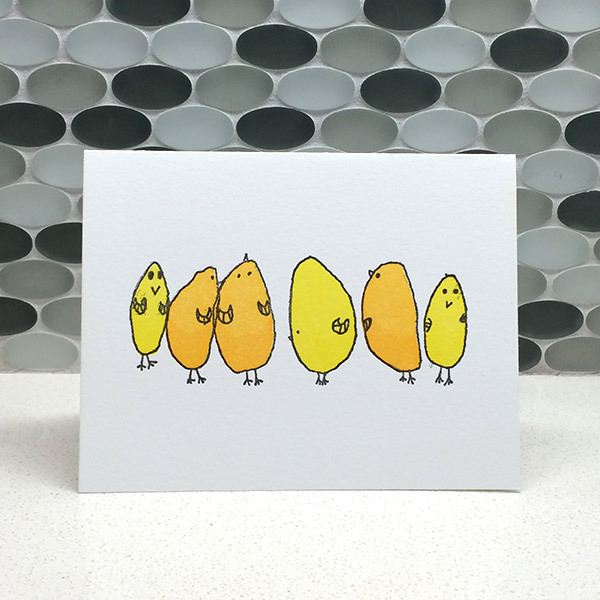 Chicks, designed by Zoe (6 years old) are sure to make anyone smile. This 4.25″x5.5 card is printed on thick, 100% cotton paper using an antique letterpress. We left this card blank so it can be used for any and all occasions. Comes with a matching yellow envelope.